I’ve posted before about the unsuitability of Adare Road for large amounts of traffic. There’s more to that issue and I’ll come back to it in another post. There are unsuspected losses associated with traffic on Adare Road that we face if the proposed motocross development is allowed to go ahead. One of these relates to the Gatton Light Horse Troop. You might be familiar with their role in the Anzac Day celebrations in Gatton and other localities in the Lockyer Valley. 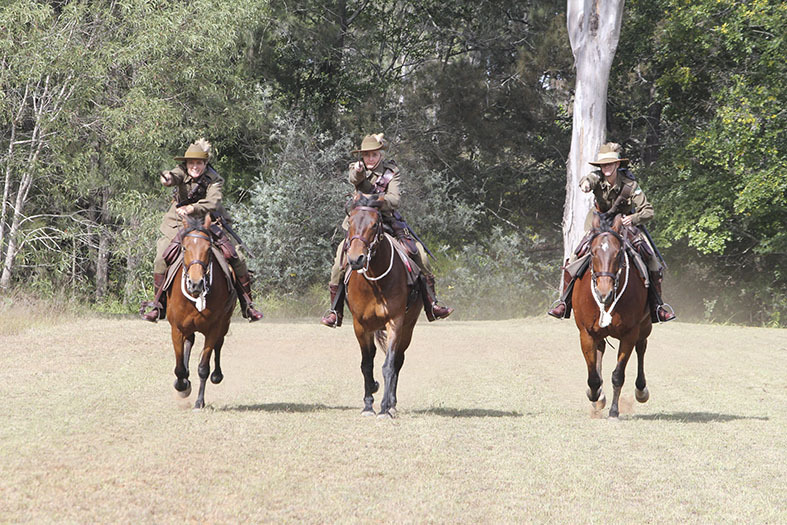 The Gatton Light Horse Troop in the Anzac Day parade in 2012. A friend in Germany sent this to me, which shows how far the knowledge of our Light Horse Troop has spread. What you wouldn’t know, unless you are out toward the end of Adare Road early on a Saturday or Sunday, is that the Horse Paddock beside Adare Road,on the right just before the Redbank Creek Crossing, is one of their training grounds. It’s a stirring sight to see them practising mounted military manoeuvres at full speed. If there are up to 150 vehicles travelling down Adare Road on a Saturday or Sunday morning, the Horse Paddock will become unsuitable for Light Horse training exercises. There’s another group in the community (this time a much wider community) who know of the Adare Road Horse Paddock. They are the birdwatchers, and the trees and bushes around the edges of the Horse Paddock are one of several regular birding spots for many visitors. 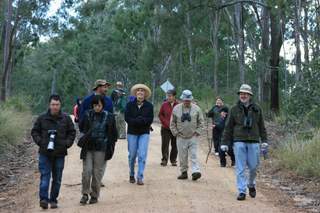 Adare road has been visited with increasing regularity by local, Brisbane, interstate and overseas birders over the last 20 years. The location features regularly in online lists of the interesting or rare species which have been seen there. It continues to be something of a ‘hot-spot’ where visitors can find a selection of scarcer species which can be difficult to locate elsewhere in the region. The combination of open woodland, riparian vegetation where Redbank Creek crosses the road, open paddocks, and the dams along the road provides for a range of habitats and therefore bird species that isn’t easily found in a situation where it is easily viewable from the road. And there’s always the possibility of seeing a koala, especially at the Redbank Creek crossing. There are many birdwatchers who visit Adare Road regularly, some every couple of months, some every week. There are also bird clubs which make annual trips to the area. A lot of the most interesting birding is done along the road verges, including along the sides of the Redbank Creek crossing. Motocross traffic in the mornings and evenings (when most birders visit) is going to turn birdwatching along Adare Road into an extreme sport – not to mention being extremely unpleasant with all the dust and noise. It can be pretty confidently predicted that the beginning of motocross traffic will be the beginning of the end of birdwatching on Adare Road.